Here is a dish my mom makes almost every week back home. Some people have all the luck, those people that get to go to her house for Sunday lunch...They will most likely get a delicious soup, amazing main dish with like four different sides and three different salads, and then for dessert often comes bucnica. No joke. 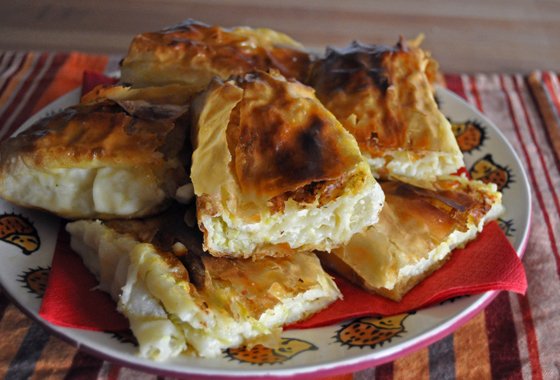 Why, it is the same as Croatian Cheese Strudel with addition of pumpkin/squash to the cheese mixture. Making it even better! 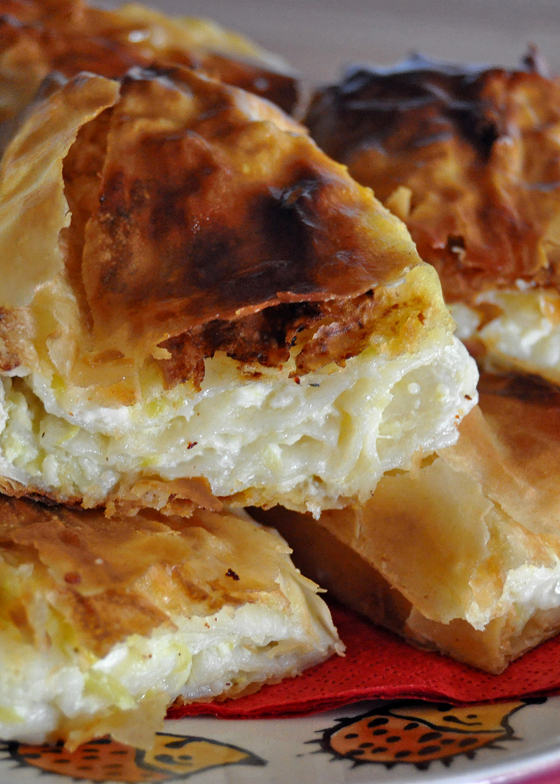 It is a savory dessert (or snack) and it's very popular in Northern Croatia. Mix cottage cheese with sour cream, eggs and grated zucchini, season with salt and set on a side. Put a clean tablecloth on your working surface and put on top of it first two sheets of Phyllo dough. Lightly brush the melted butter over the sheet and then add 1/4 of your filling, distributing it evenly over the sheet all the way up, but stop about 1 inch from the top. Now you will roll this, using the tablecloth. Lifting the tablecloth, gently start folding the sheets until you have a 'snake'. 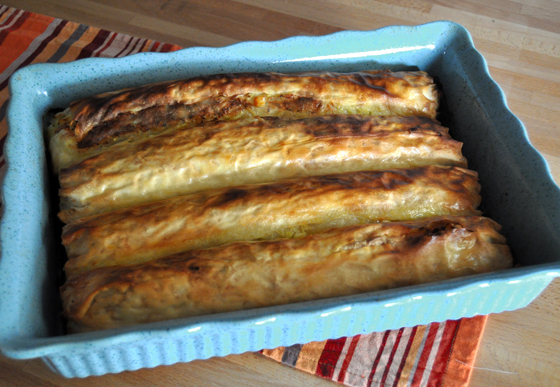 Once that is done, I usually spray some water on the ends so that I can fold them under the strudel when putting in the pan. You repeat this three more times and then gently put them in a greased pan. 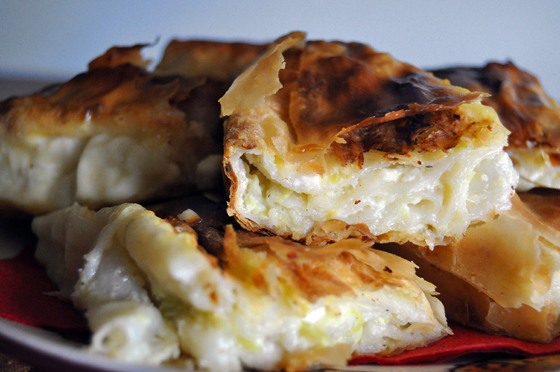 *for step by step pictures go to Croatian Cheese Strudel post. Can you use Farmer's Cheese instead of cottage cheese? I don't really care for cottage cheese. Absolutely, let me know how you like it if you try it out! Do you use regular cottage cheese, or dry?? Also which is best, large or small curd? ?